It all happend in a little town called Tombstone. It was a normal day. I was sitting there in the sun when, from across the way I herd some yelling comeing from the local Saloon. It wasn't a big fight. Then I saw a man run out of the Saloon. There are always fights there. 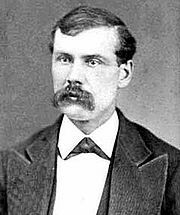 Virgil Earp was the new town marshal. The next day the Earps and Holliday found some of the Clanton gang on Fremont Street. Some nasty word were said and it ended in gun shots. The fight left three Clanton's dead and wounded Doc Holliday, Morgan, and Virgil Earp. After words they were criticized for killing three of the Clanton's. 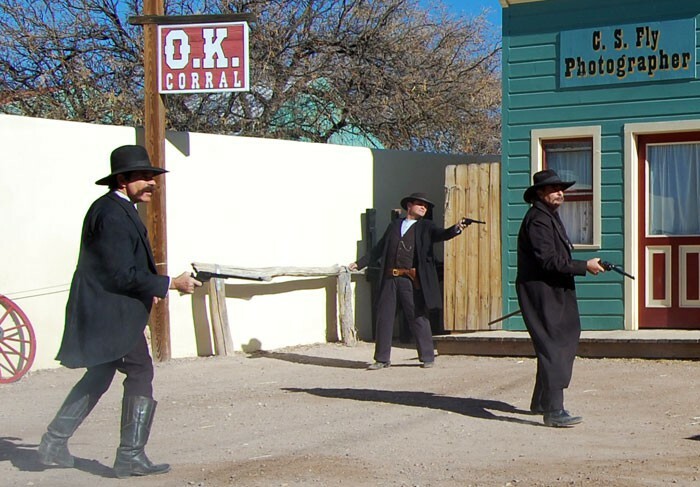 Some people thought that they did what was right to defend the town of Tombstone. Wyatt Earp and Doc Holliday are arested for murder.